A true bypass bass guitar effects pedal featuring silicon and LED clipping options and separate Dry and Wet level controls. 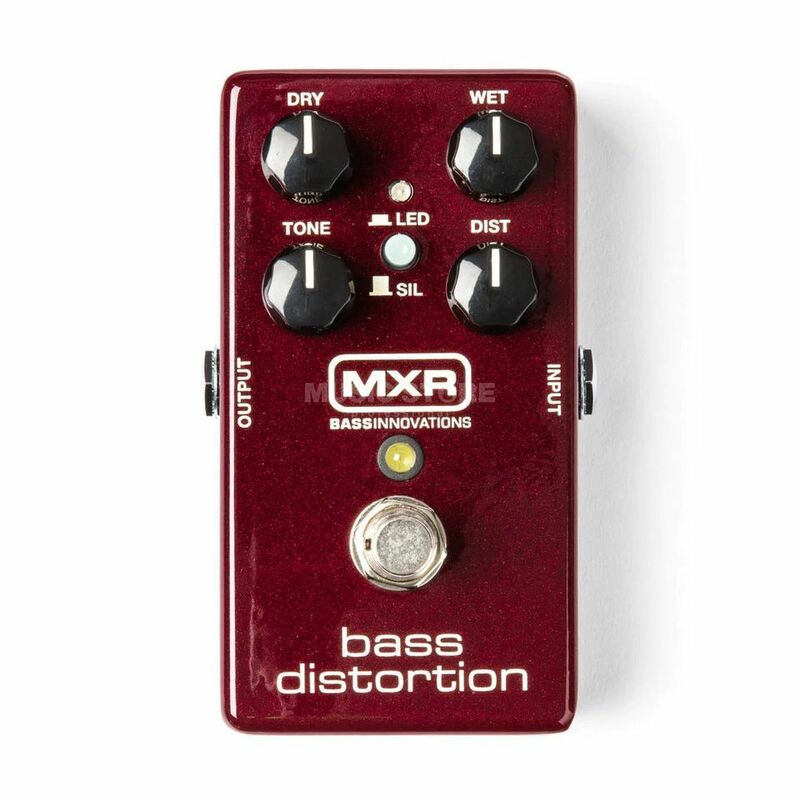 The MXR M85 Bass Distortion is a bass guitar effects pedal designed to produce big, punchy distortion with silicon and LED clipping options and separate Dry and Wet level controls to keep your low end intact. The M85 Bass Distortion is designed particularly to secure the low end and not split clean and dirty signals, thanks to the Dry and Wet controls, which you can use to achieve your perfect mix. The Tone control is a simple high cut filter for reining in the top end and only adjusts the distortion signal. The Distortion control sets the distortion signal's intensity. The sound of the M85 is adjustable between two flavours, which can be selected via the internal LED/SIL switch. The SIL setting applies silicon clipping diodes to deliver an aggressive sound with plenty of bite as well as a touch of compression. On the other hand, the LED setting uses LED diodes to produce a more wide open sound with a nice gain bump.